Looking for something amazing for your next party or event? How about a fog machine? These machines can transform a space, turning it into a foggy, mysterious wonderland that makes everything feel different. You wouldn’t think a little fog on the floor would do that, but it can. When Do You Need a Low Lying Fog Machine? When people think of fog machines, they often think of proms or wedding receptions. These events are certainly great places to use a fog machine. Imagine walking into a wedding reception with twinkling lights, white fabric draped from the ceiling, gorgeous trees placed around the room, and fog drifting across the floor. It’s magical and amazing! But low lying fog machines have other uses, too. If you’re creating a commercial or advertising piece for a company, a fog machine could give you that extra bit of mystery or atmosphere that you need. Students who are working on films or those who are breaking into YouTube might want to add some fog to the setting of their next horror film. Musicians and theater groups might even find that fog machines help enhance their performances. Why Use a Global Special Effects Fog Machine? Of course, you don’t want to go with just any fog or haze machines—you want the best! 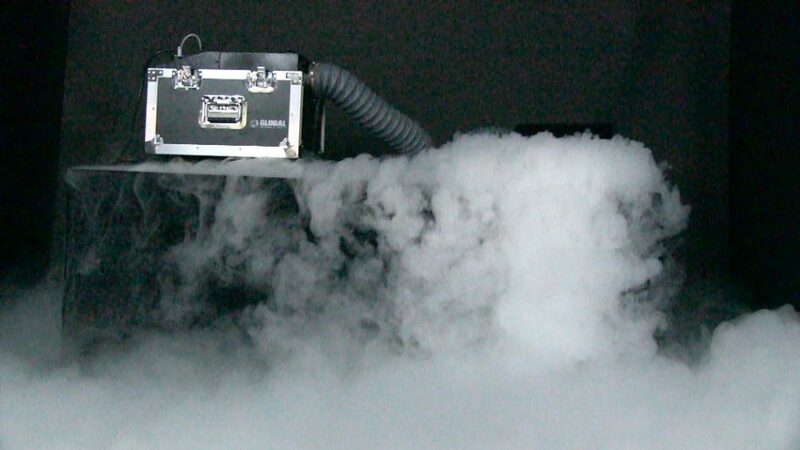 Global Special Effects offers professional quality low lying fog machines at a very reasonable price. 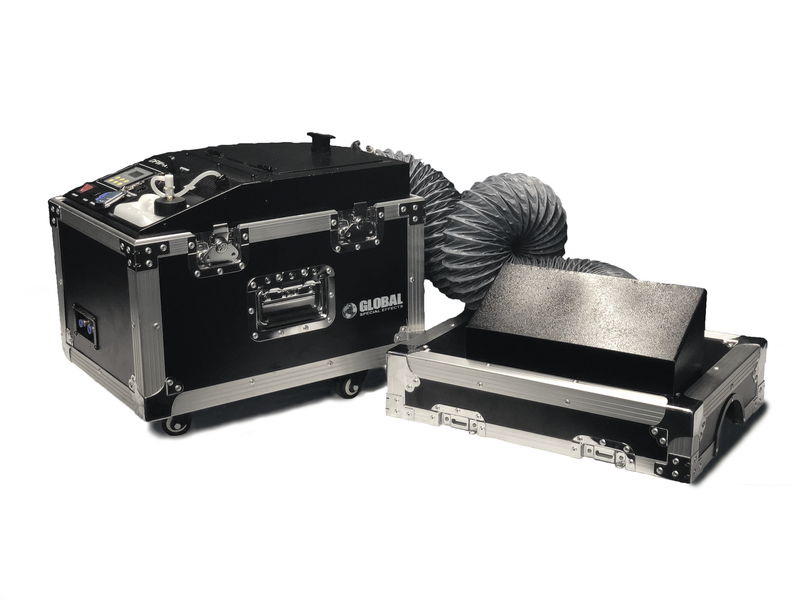 These machines are designed to take up very little space while projecting a great amount of fog. The different models offered by Global Special Effects are great for haunted houses, theatrical productions, films, and much more. You get professional level effects without the hassle. Global Special Effects has offered top-of-the-line effects machines to consumers and professionals worldwide. Our effects have even been used in music videos by Taylor Swift and Justin Bieber! But we do more than just offer basic effects machines. We make use of innovative new ideas to create effects machines that are efficient and easy to use. We even have several patents on our innovative designs. Need a special effects low lying fog machine for your next event? We have you covered!